After a gap of several years, Bennie and I have once again taken up wing chun. We stopped, after quite a few happy years at Wing Chun Bing Fa Academy in the CBD, for various reasons, most of which I cannot now recall. 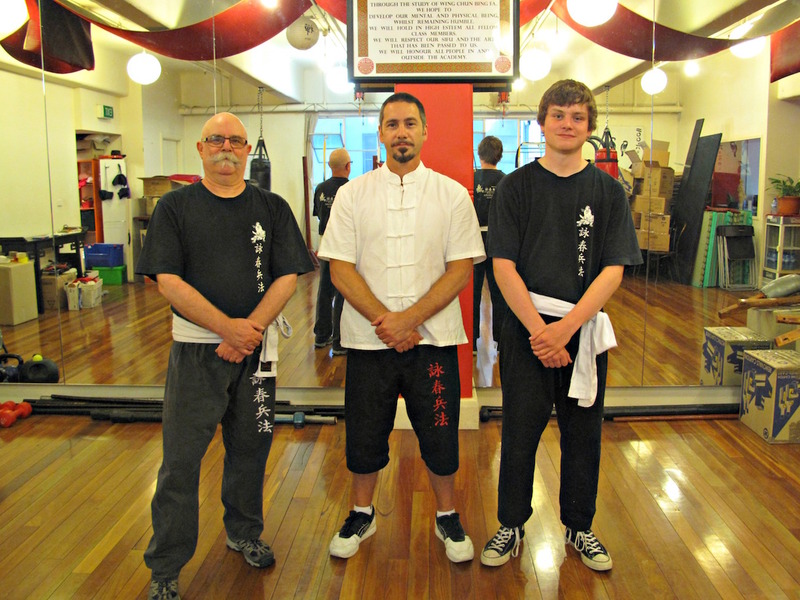 We looked at finding a school and teacher in the west, but in the end the depth of the family connection already forged with Sifu Julian and his family and their school won out. So it’s back to Swanston Street we are heading. The whole shebang is moving from its Curtain House home of many years to new digs on the corner of Victoria and Lygon streets. Team CTS with Sifu Julian. For more information on Wing Chun Bing Fa Academy, go here. In the meantime, we have really enjoyed getting back into the kung fu drill, including getting on top of the logistics of making two classes a week. 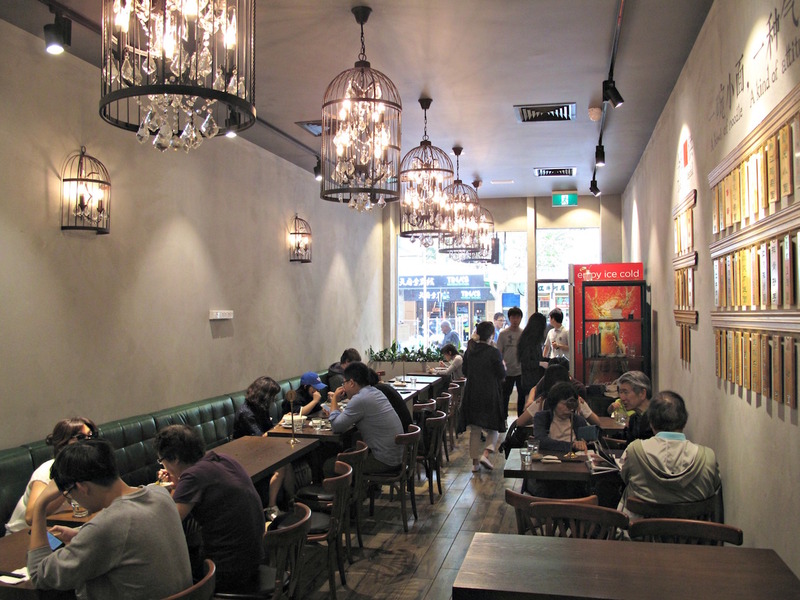 And checking out all the new, funky Asian eateries – including several interesting outfits on Swanston Street around our temporary martial arts destination. So after a Saturday class, we hungrily hit Noodle Queen. It’s a long room, nicely done out. It’s busy, the prices are cheap and the wait times are appropriate for the food involved. Ordering and paying is done at the cash register, with customers then provided a number. The food here is from Sichuan – but not in a generic manner. Instead, at least some of the dishes come from specific areas within Sichuan – regionalism we can applaud! 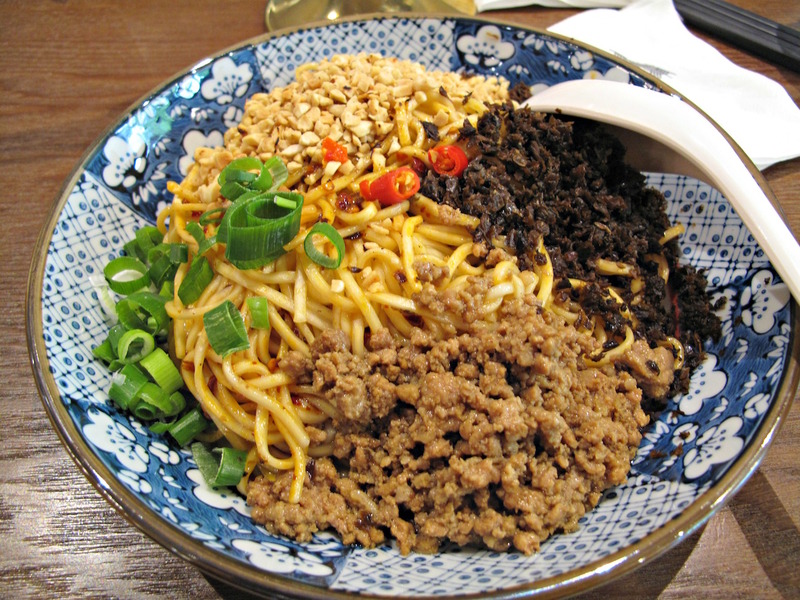 Yibin burning noodles ($11.80), for instance come from the city of Yibin, in the south-eastern part of Sichuan. They are fantastic – and Bennie talks about them for days after. Not really, not by our standards anyway – and the dish is given a mere single chilli in the place’s heat grading system. But the blend of oily noodles, chopped pickles, smashed peanuts and pork mince is full-on delicious. It gets better as it goes, with the liquids and chopped ingredients gravitating towards the bottom of the bowl, ensuring the last few mouthfuls excel. 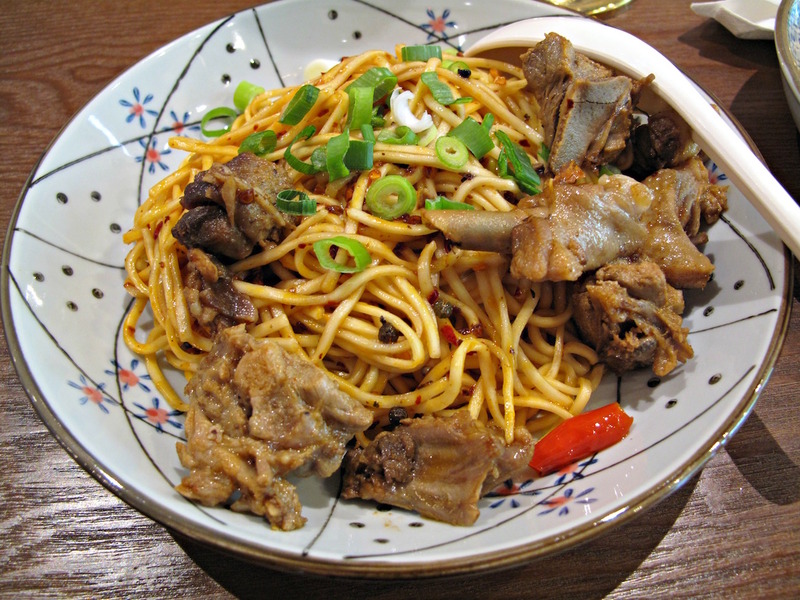 From the neighbouring city of Luzhou comes fried diced duck and ginger topping on spicy noodles ($11.80). Overall, this is good but not as impressive as the Yibin dish. Mind you, my impressions are coloured by the fact Bennie has first crack at this offering and he scarfs the meatiest, juiciest pieces of duck. The more bony pieces left for his dad, however, do taste lovely. But I detect little – nothing, actually – of the advertised ginger topping. 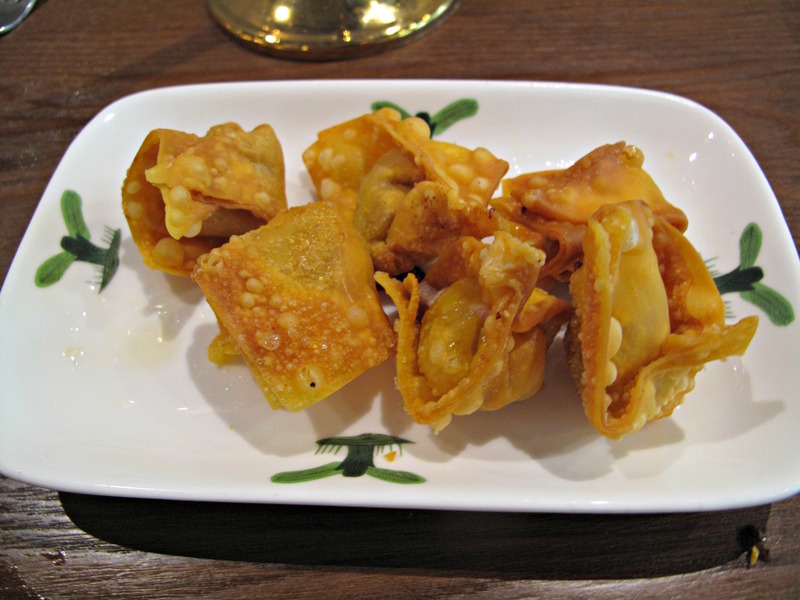 Deep-fried wontons ($5.80 for six) are perfectly cooked and tasty, but largely excess to our requirements. This is the sort of ordering we fall prey to, not in the interests of immediate gratification, but with a view to making a better CTS story! Another wing chun class and another meal at the same joint … starts with a smaller, appetiser dish called shredded chicken topping on spicy cold noodles ($4.80, top photo). 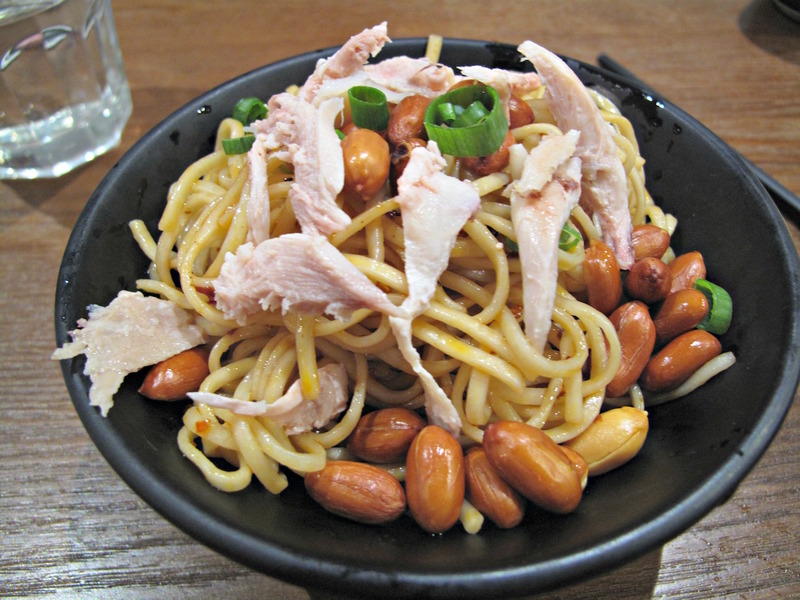 The same sort of oiled noodles are the base, room temperature rather than cold, with plenty of peanuts and the nice chook pieces making for a winner. 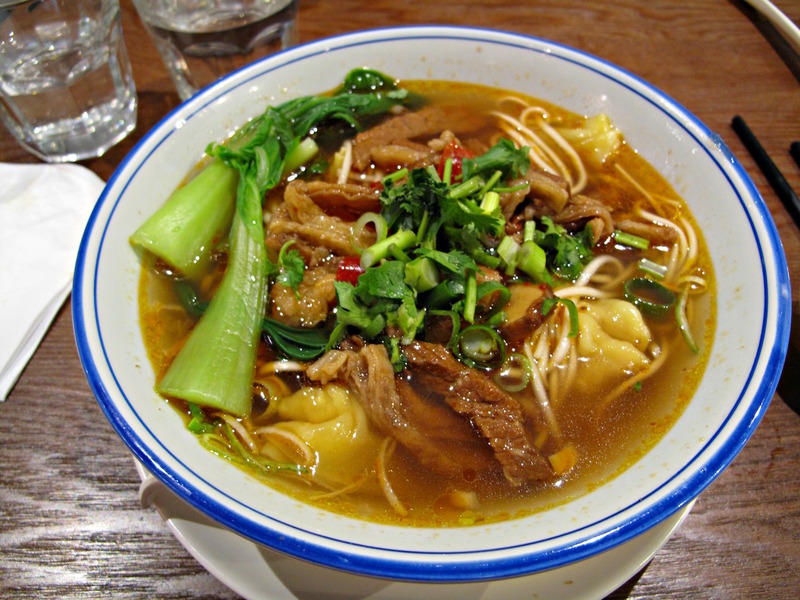 We are seduced by the menu photo of spicy stewed beef with noodle/wonton soup ($13.80). What we get looks very different – and is simply the Noodle Queen take on the beef brisket/wonton noodle soup we have enjoyed many, many times elsewhere. Still, it’s a good version, with the beef in strips rather than the more familiar chunks. 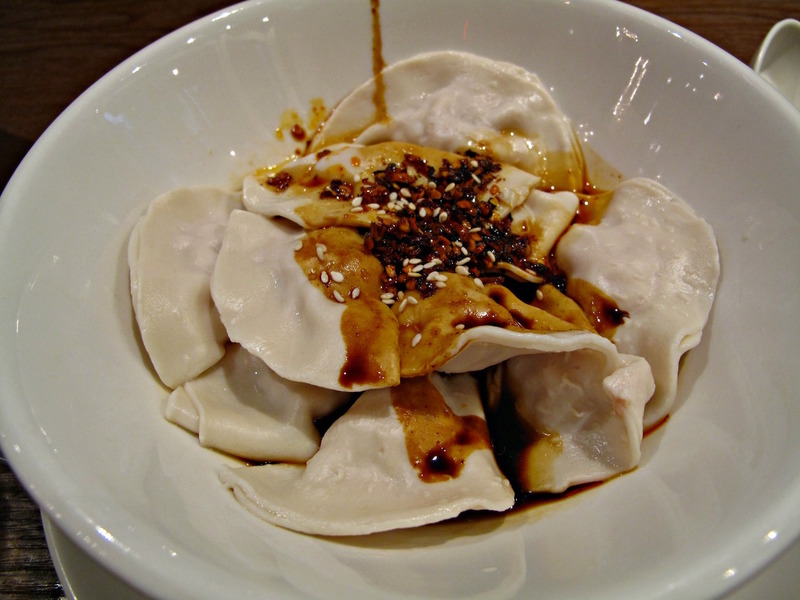 Pork and cabbage dumplings with “sceret spicy sauce” ($10.80 for 10) are fab. They look like they’ll be dry and doughy. They’re, in fact, tender, slippery and quite delicate. They have less meaty fillings than we might’ve expected, but we feel no sense of deprivation. They’re super, especially with the sweetish sauce that starts out benign in terms of chilli heat but builds cumulatively as we work our happy way through the parcels. 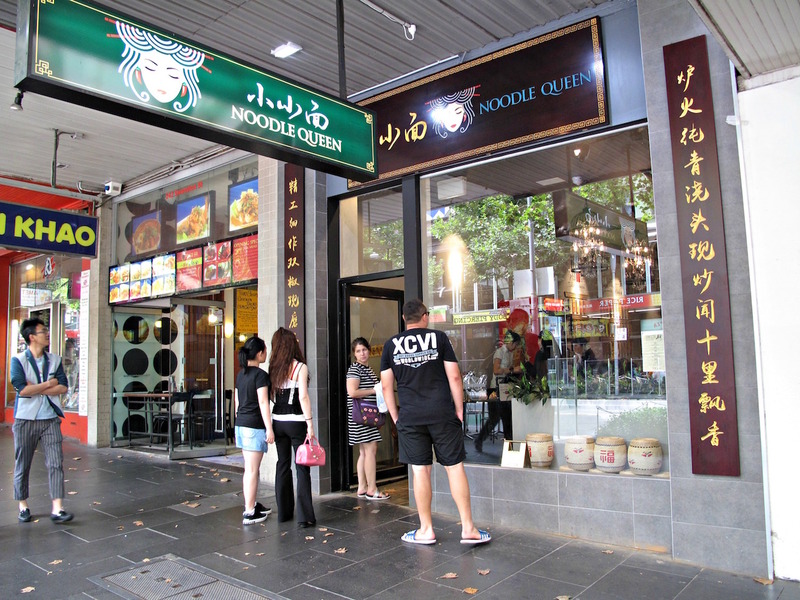 Bennie loves Noodle Queen so much, I’m going to have to dig my heels when it comes to trying new places for our post-wing chun dining.